Frosty seems to have found a new home. 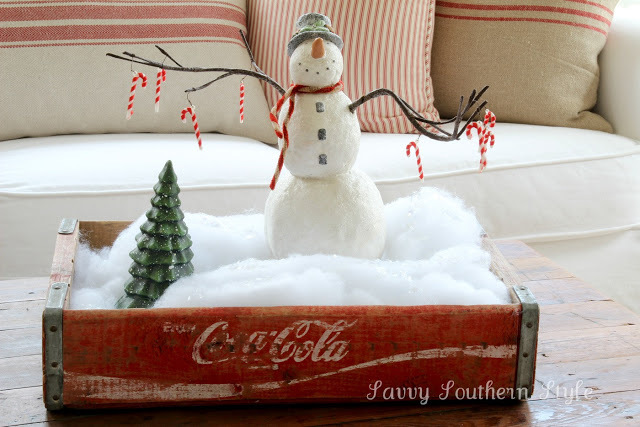 This snowman vignette inside a coke crate filled with even more snow is just too whimsical and fun to pass up! 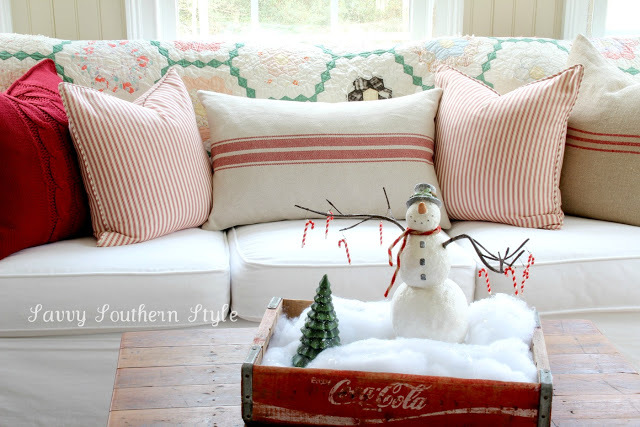 This lovely sunroom is decked out to the nines for the season, with natural, subtle touches. 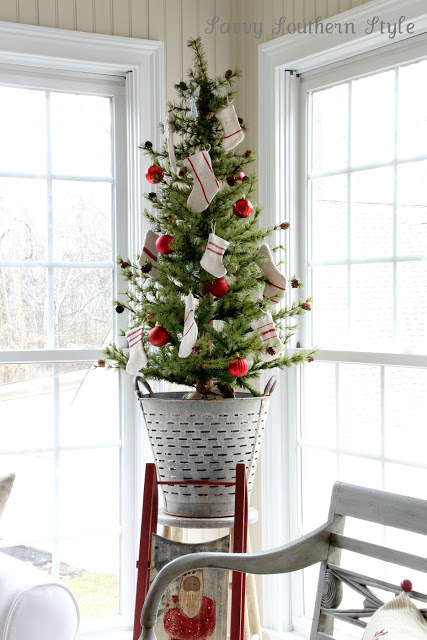 Even a sweet little tree stands in the corner inside an olive bucket, tricked out with grainsack styled mini stockings. I think it's safe to say, I really wish this sunroom was attached to my house! Gorgeous work, Kim! Thanks and thanks for sharing.